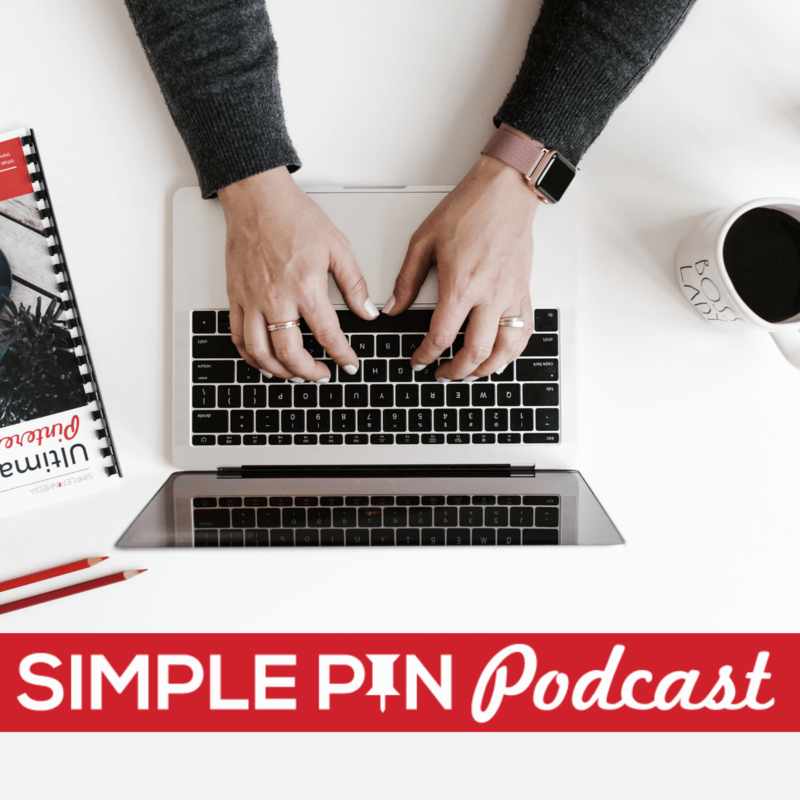 If you haven’t yet downloaded your copy of the Simple Pin Pinterest Tailwind planner, head over to this page and subscribe to our email list to get yours for free. The Planner is full of content marketing information to help you DIY your Pinterest strategy. Or maybe you’re interested in a consultation with me to analyze your Pinterest page and get some solid action tips to help you grow your account. You can head over to our consultation page to set that up. Swimsuits are trending big on Pinterest this month (which is funny since it’s raining and freezing here outside right now as I record this). People start planning their vacations early. That planning process includes hunting for swimsuits that fit their style. Pinners are also looking for summer recipes — dishes that are on the lighter side. These include salads and grilling ideas…basically anything that changes up the menu from those winter soups. Weddings are huge in the summer and Pinterest seems to be a key tool in every bride’s wedding planning arsenal these days. Brides-to-be search for wedding decor, food, dresses–you name it. If your business markets to brides or grooms, you want to be getting your content out there THIS month. In the U.S., Memorial Day falls at the end of May. Camping trips are super popular during this holiday weekend. People take that little break to really get outside and enjoy the weather. Camping tips, travel tips, or anything related to the outdoors performs well on Pinterest during May. And let’s not forget that Father’s Day is coming up in the mid-June. You’d be smart to get those Father’s day gift guides circulating this month! Graduation is a big deal right now. Whether it’s college, kindergarten, or high school, everyone has people in their life who are graduating this time of year. So whether you have tips for graduates, gift guides, or anything else related to graduation, now is the time to start promoting those pins. If you have travel tips or destination reviews, now is the time to get those pins promoted. People are starting to plan their vacations and are going straight to Pinterest to find road trip tips and the best places to spend their break. With the weather being nicer, fitness is now also a widely searched topic. People are looking for ways to get their exercise in without being trapped in the gym. Mother’s Day, weddings, and any summer-themed content are perfect for promoting in May. Believe it or not, now’s the time to begin planning your back to school content. I know. Your kids might not even be out of school yet. BUT, by the second full week in July, all stores have their school supplies front and center. Get creative about content! Create a “brain dump” document that you’ll use to write as many ideas as you can generate. Use this document when you’re struggling to come up with content ideas down the road. It’s a great idea to always pay attention to what people are looking for as it relates to big nationwide celebrations throughout the year. If you are in a different country and different season, pay attention to your calendar and what people are searching for on Pinterest and plan that sort of content. The Fourth of July and Canada Day (for our Canadian friends), are big this time of year! Keep in mind that pin descriptions should be approximately one to two sentences long, with keywords peppered throughout. Currently, I’m leaning towards two sentences. After you describe what your pin is about, use 4-5 hashtags at the end the end of the description. Use your branded hashtag in the description every single time. My action tip for this month is to play around with some new images. We have a podcast about how to A/B test your images that will be super helpful to you. Look at current images you have and see if you can change them up just a little bit to create a different type of image. Create new images or update old ones for your top five most popular blog posts. Capitalize on your traffic. You can always test it on your newer content as well. Pinterest has just announced that all pins will be cut off at 600 x 1260. It’s important to know this as you’re creating images. And as always, your images should be clear and easy to read. Another important change to note is the new follower feed. Pinterest still has the smart feed but now with the follower feed, you can see just the pins of people you follow. So make sure you let people know about the new option and tell them to follow you and check out that feed. Now you know what to plan for and pin in May! Make sure you download the 2018 Pinterest planner for all of this information and more. You can read more about the top trends for May 2018 on the Pinterest blog. Thank you for all these tips Kate! I just started becoming serious about Pinterest. Well better late than never right? lol Your posts are so informative and I am following you religiously, thank you for all that you do! Thanks for this valuable post! This may be a silly question, but I’ll risk asking anyway! Lol…I an emerging artist and wanted to know how does relate to a creative type business that I’m trying to build? I mean how can an artist used the content ideas recommend each month to tie into what they offer? (i.e. selling their on-demand products, or downloadable art prints from their website?). Thank you and I hope I am clear and not confusing in my question.